Our predecessors are stalwart-scholars and yogis who had the vision and foresight of acknowledging the inherent psychological insights in Sri Aurobindo’s thought. This illustrious list begins with the late Prof. Indra Sen, who published as early as 1944 an article entitled “A psychological Appreciation of Sri Aurobindo’s System of Integral Yoga” and culminates in Dr. A. S. Dalal’s landmark publication of “A Greater Psychology” in 2001. 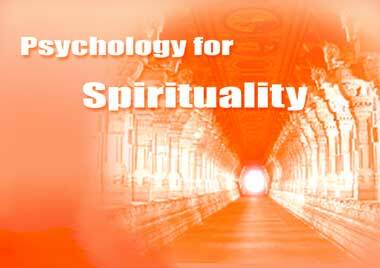 Dr. Indra Sen used the term “Integral Psychology” in 1960 to denote Sri Aurobindo’s Psychological system but as Robert Gerard (in 1982) and Ken Wilber (in 2000) have been using the term for other things, the nomenclature “Integral Yoga Psychology” has evolved. Other predecessors include the late Kishore Gandhi who had been using class notes on this theme since 1966 at the Sri Aurobindo Ashram, the late Madhusudan Reddy whose book on Integral Yoga Psychology was published in 1988,Jobst Muhling who differentiated conventional Western Psychology from Sri Aurobindo’s psychology in 1960, the late Haridas Chowdhury who with F. Spiegelberg in 1960 published a Commemorative Symposium proceedings where the term “Integral Psychology” was first used, C. R. Goswami who used this term in 1989 and Lloyd Fellows who established an Institute for Integral Psychology in USA during 1970s under the inspiration of Late M. P. Pandit.